changes I want to make. True Foods in Newport Beach. with their bins full of herbs. I am loving the succulents I planted in pots last spring. but they help create a secluded ambiance within the garden walls. Last year I started adding succulents into existing pots. forgot to water it regularly. with the lavender and alyssum. 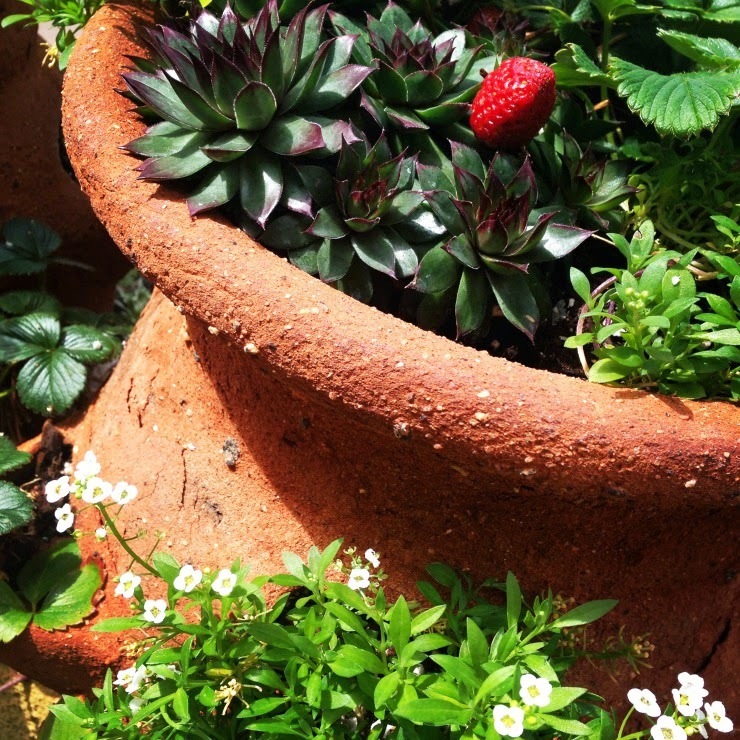 I have even tucked tiny succulents into my strawberry pots. along with the lacy alyssum. 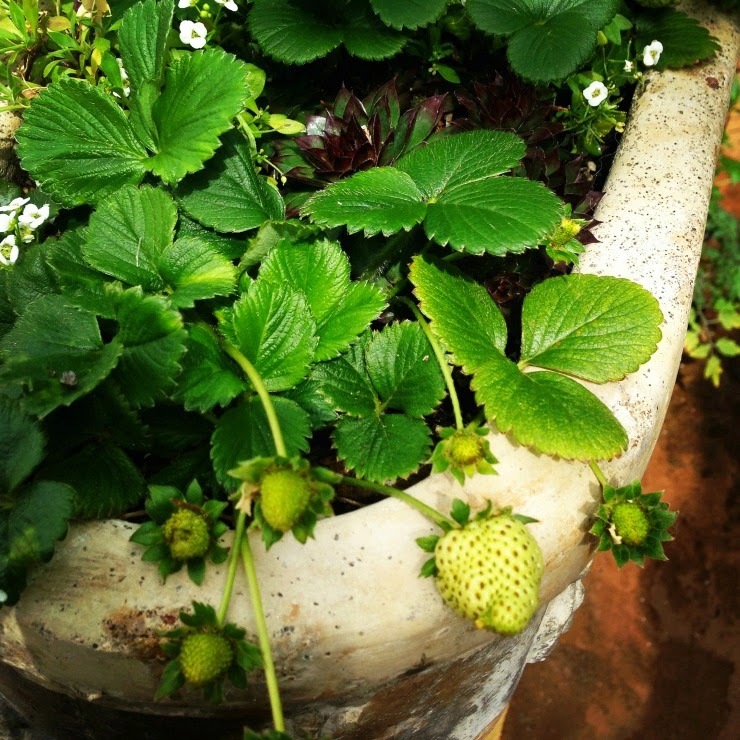 I think of them as nice accessories to the strawberries. unless they were right before me. over the past nineteen years. to make room for the new ones. So beautiful. True Foods. How great is that place? True Foods is such a fun destination … feels as though you can breath in healthy sunshine! Lovely...makes me want to go sit outside. I need to get into my backyard really bad...hopefully you have inspired me! Pam I hope you make it outside to your backyard … it can make for such a soul soothing experience! En.joy your time in the garden, always rewarding I find . You are right a garden can be a wonderful creative endeavour, no doubt yours will appreciate your golden touch! Jill I can tell you have a gardener's heart! 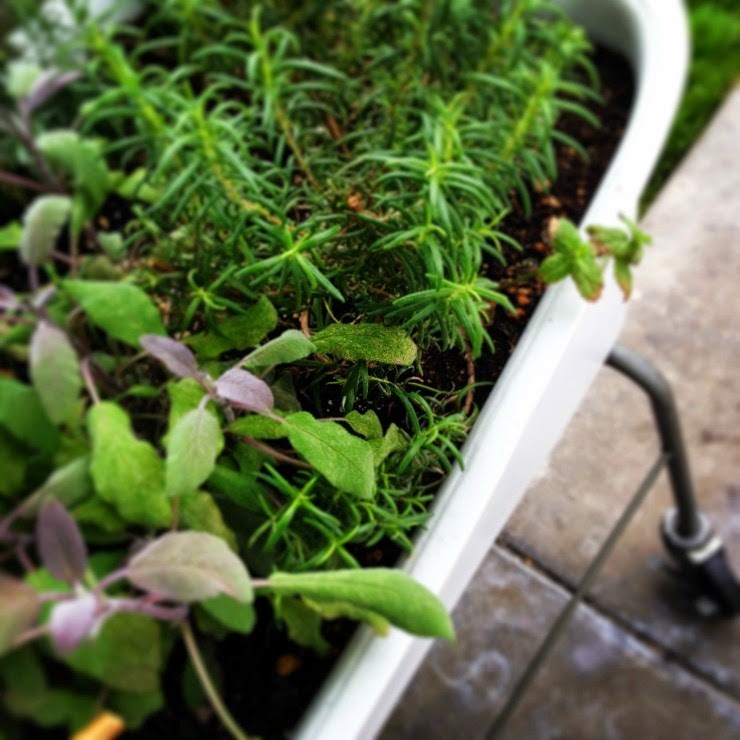 I do find gardening especially creative … even the trimming back feels like sculpting to me … taking away the unnecessary to reveal even more beauty. Streets lined with cherry blossoms … an absolutely iconic vision of spring! I purchased my first trays this past weekend, but yet another cold spell made me leave them in the garage during the night a little longer. But I did spot the first little bumps on my oak leaf hydrangea. I may get some flowers this year after all, and that is a miracle after this winter. I will give succulents a try. You made them look very interesting. I bet you will be so relieved with the onset of spring after the winter you have had my dear! Hydrangeas are one of my favorites … here in zone 9 the Stargazer Hydrangeas do quite well. 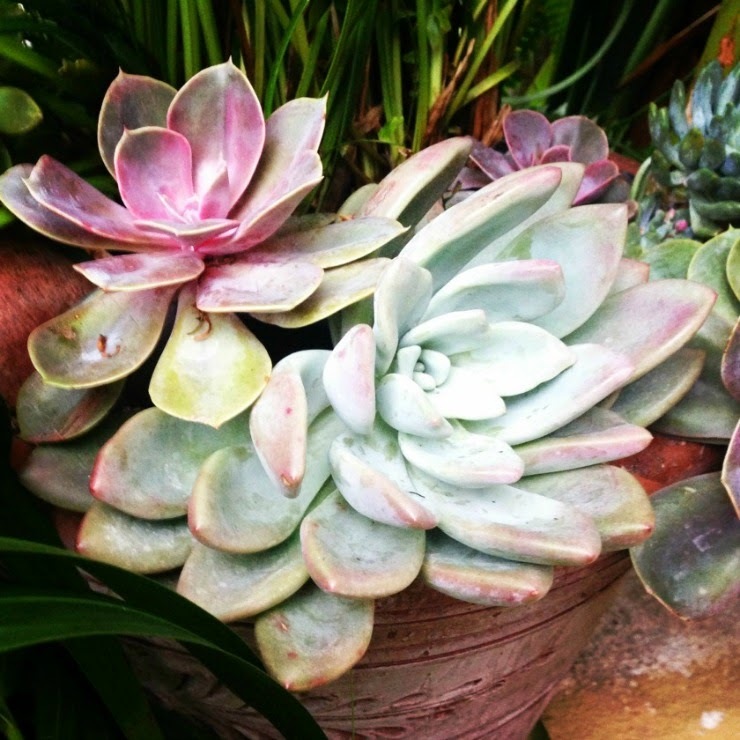 Succulents are quite fun to work with do to their sculptural appearance and easy care … I think you find them enjoyable! Tamera, Your garden is gorgeous. It's exactly my kind of garden. You have a romantic mix and I love it! You are inspiring me to get out there. Nothing gives back more than planting. So worth it. I'm going to pin some of your lovely yard on my California Home board. It's just so beautiful. We are having a rainy day here today! So nice. Kim I am so happy to hear you also have a gardener's heart! I completely agree about the give back of planting and gardening! Now we share that as well as our love of using cloth napkins at home! I am so excited to finally meet you my dear, in a little over 2 weeks now … I can't wait! Clothes pins…….use them all the time especially when I had the shop I used them to hold price tags. 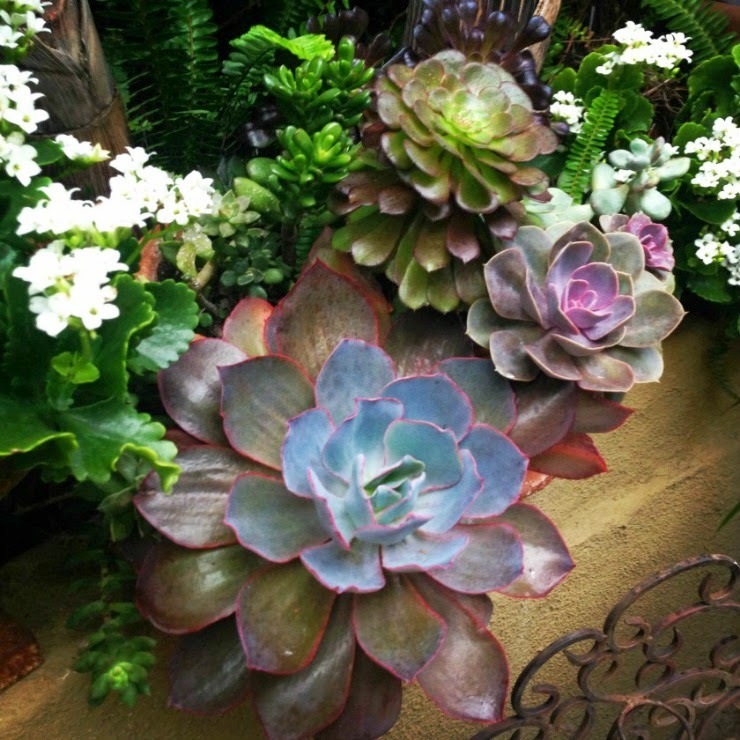 SUCCULENTS,I never liked them until last summer when I went to LOTUSLAND.HAVE you been there?YOU NEED TO GO! 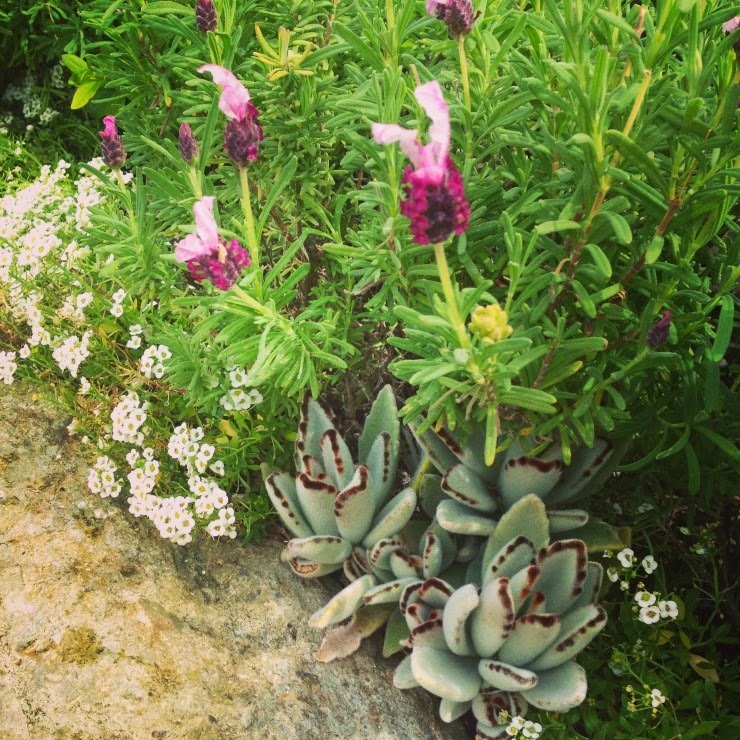 Your lavender looks PINK? ?Is it?Love what you have done in the garden!I totally get what you are saying about not knowing what you will do with them until it "SPEAKS" to you! My dear Contessa … I have never been to Lotusland … where is it? If you recommend it I am sure I will love it! Can't wait to meet you Monday! MONTECITO,CALIFORNIA…………WE SHALL MEET UP THERE perhaps this summer! You have given me an idea with the succulents…….do deer NOT enjoy them?I would think they doNOT eat succulents…..will discuss further when I see YOU!!!! This is so lovely. I never would have considered succulents, but I love how you have used them. True confession and a question: I have never gardened much. My husband cares for the yard, and we have landscaping, but that's it. I really don't know what to do or where to begin. How did you get started all those years ago and has it been something you just inherently knew how to do? I am seeing that I have my interest in decorating, entertaining, etc. the same as my mother did. But when it came to the outdoors, she had someone take care of the yard and shrubs every week and that was that! I would love to try my hand at gardening, at least a little bit. Especially after being so inspired by ideas like yours. Thanks. Miss Dishywoo I stared gardening in our first apartment over 25 years ago. 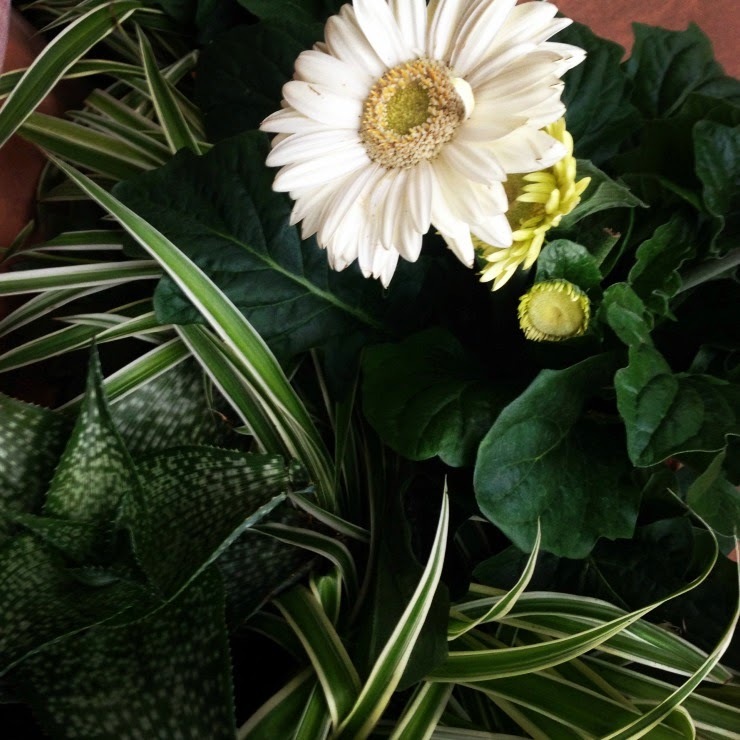 I always had an interest in cut flowers and it grew to indoor potted plants … which grew to an outside garden of potted and hanging plants on our little balcony. When we moved to our present house 19 years ago, it was a new build. 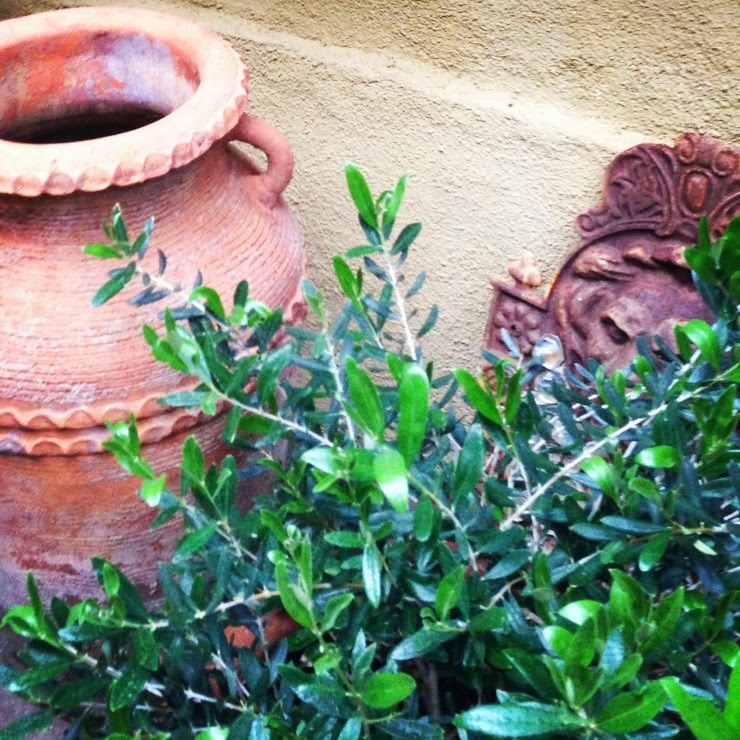 My husband and I designed and installed all of our landscape … and my interest in full on gardening began. I would recommend starting with a pot or two to begin with. 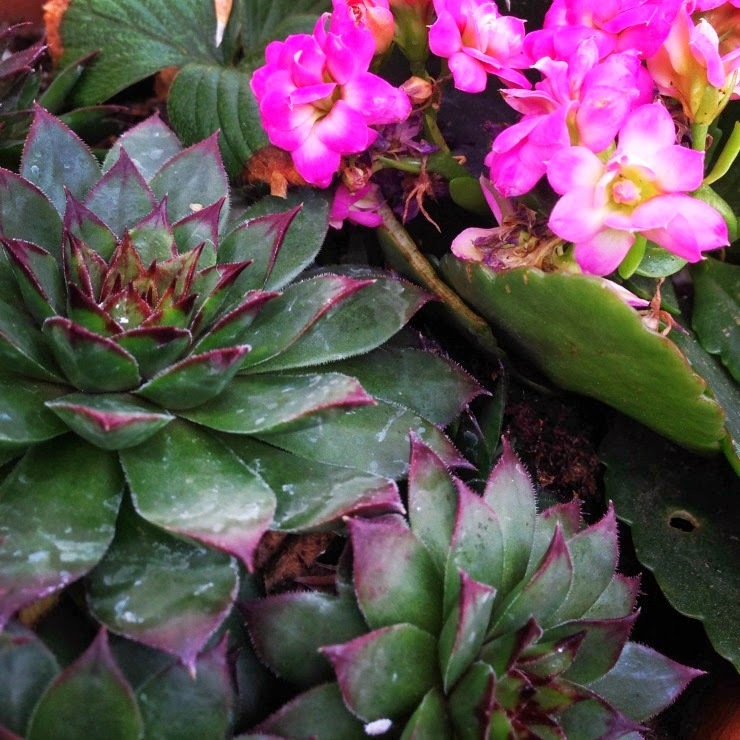 Succulents are easy care and a simple start to gardening. I also, always use plants in my seasonal decorating inside as well. They add another level of seasonal color and mood to all of my indoor public spaces. Thank you so much for you question … i hope you find this helpful. Oh Tamera dear-that garden of yours.....so beautiful...swoon! It's so much fun to see how you dress if for each season. Thank you my dear girlfriend! I hope some day to visit your resort worthy backyard!! Can't wait to see you again in 2 weeks!! I love it when you take us out into your garden! The new succulent additions are so beautiful. Like you said, they bring such interesting texture and color. My son and I have been putting together little succulent pots for him to sell for his school trip to D.C. Thanks for stopping by over at my blog the other day! :) I'm trying to blog again... I do miss it! Linda how wonderful to hear from you again! I have thought of you often in your blog absence! 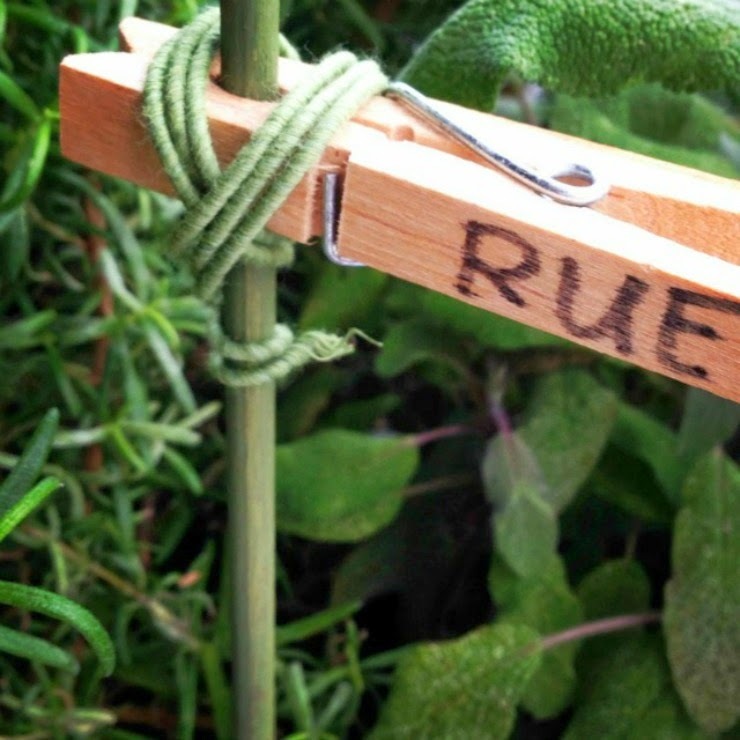 What a great idea to sell succulents to raise money for your son's trip! Hope to read your blog again soon my dear!